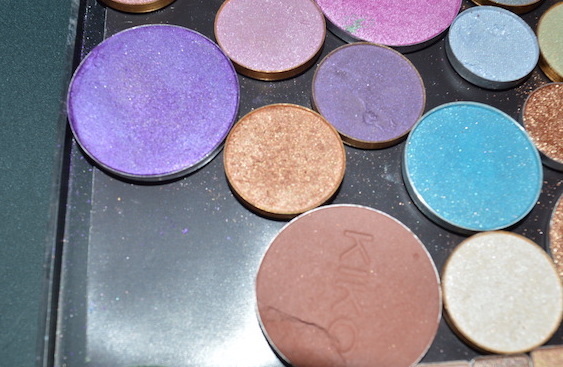 What you need: Your shadows, a palette cleaned out, magnetic sheets, metal stickers. This is a bit like a DIY Z-Palette alternative. The magnetic sheeting means you can swap and rearrange what you put in it! Step 1 – Get off as much exterior packaging as possible using your scalpel/tweezers. Be careful with your hands and the product! 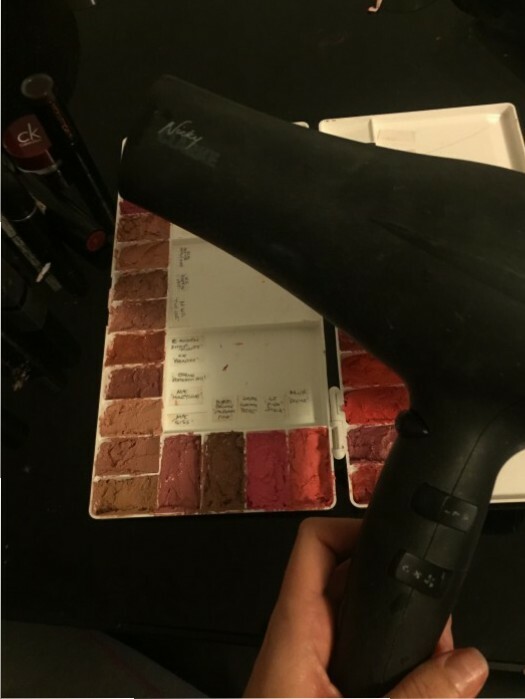 Step 2 – When your left with a small bit of plastic surrounding the metal casing, take your hair straightener and lie some greaseproof paper over the iron, turn down the heat to as low as need be. place the eyeshadow casing on the paper and leave for a few seconds. do not have the heat turned up enough to melt the plastic. Alternatively you can use a hairdryer and concentrate the heat on the underneath. Step 3- Once the glue has melted the metal casing should become loose and pop out. You may need to use gentle persausion. 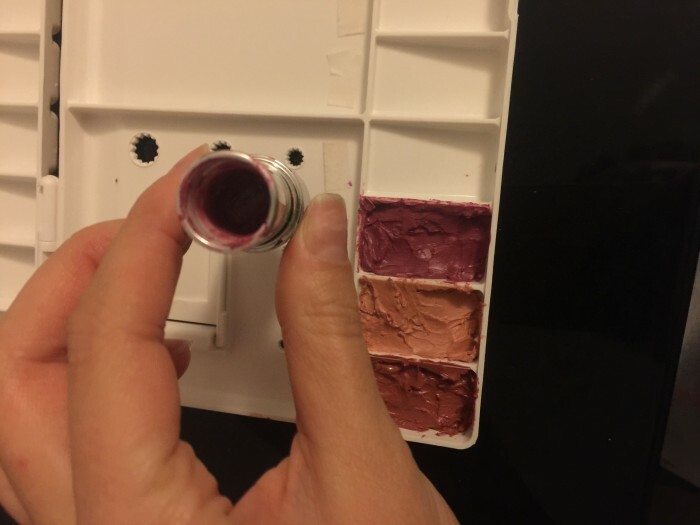 Step 4 – Take an old palette and remove the inside (you can buy empty palettes/cheap palettes on eBay!) Use a deep one if your using domed shadows. 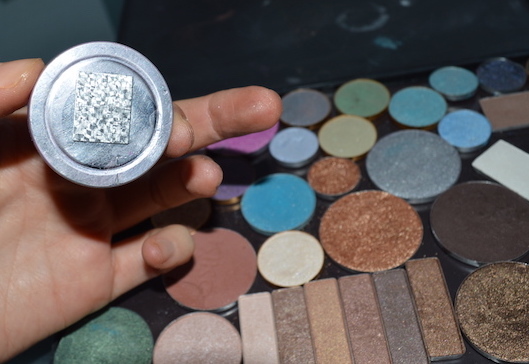 Step 6 – Place your magnetic stickers (mine are Z palette metal stickers) on each eyeshadow underneath the centre. Step 7 – Arrange and enjoy! 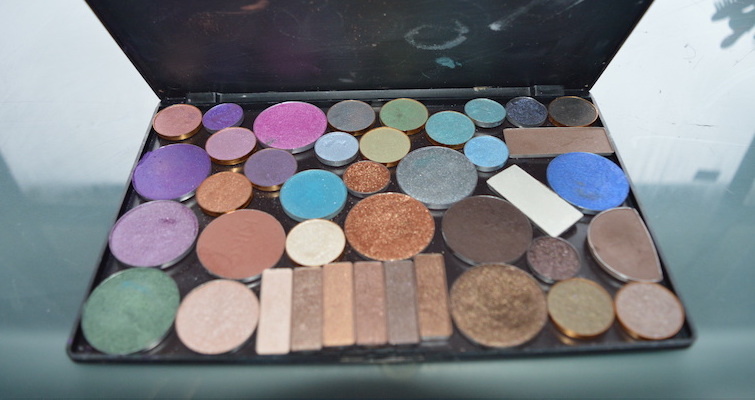 I use several different sized palettes so when I go away for example I can take a smaller selection. What you need: Plastic craft storage box ( you can get mine for £1.49 here from The Range ) , Your products, cosmetics spatula/blunt knife. 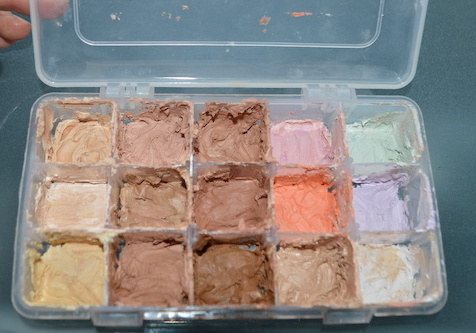 Step 3 – Continue to do this with all colours/creams. What you need. 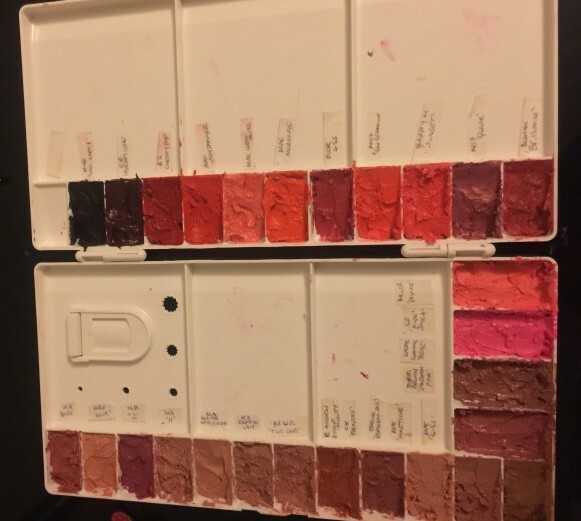 Lipsticks, a watercolour paint palette ( available in craft stores/online, mine was a few pounds) , a blunt knife/spatula. 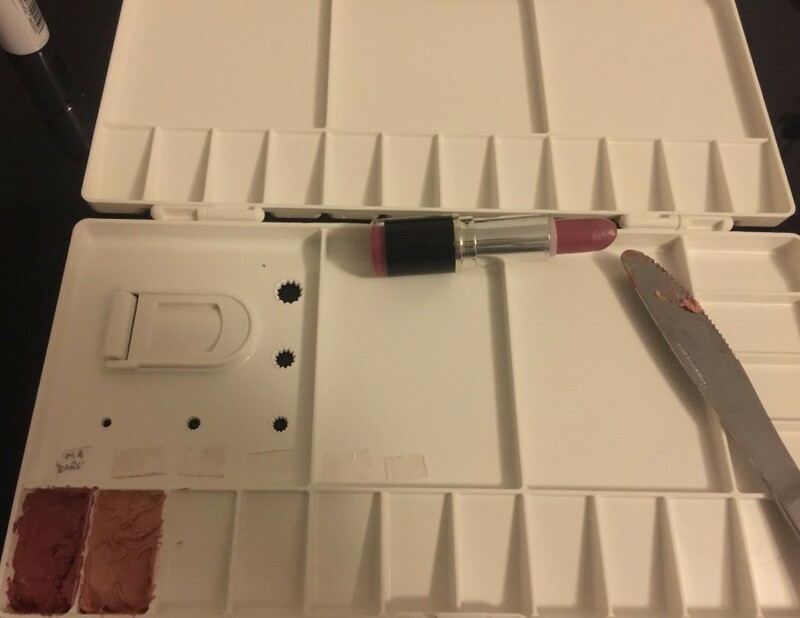 Step 3 – Scoop out the lipstick from the plastic ride downwards and place into a segment of the palette, squash down. This is the perfect amount to place into the segments and leaves you with the shaped section to place back into the casing and keep if you want to take an individual one out in your bag for example. 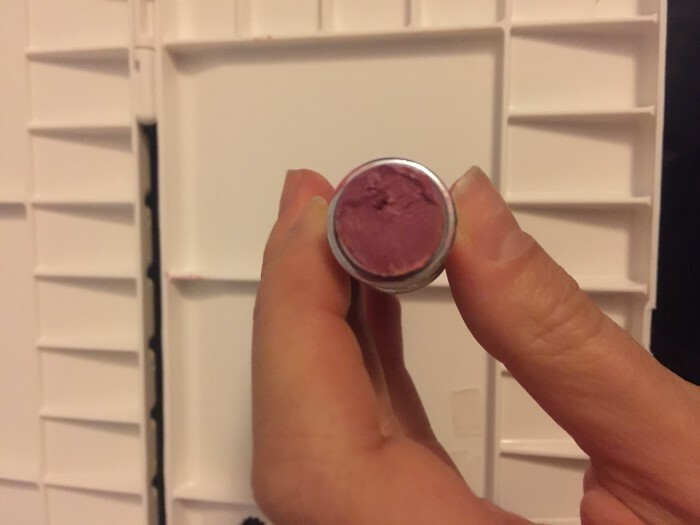 Step 4 – Replace the intact shaped lipstick remainder back into the plastic casing/tubes. 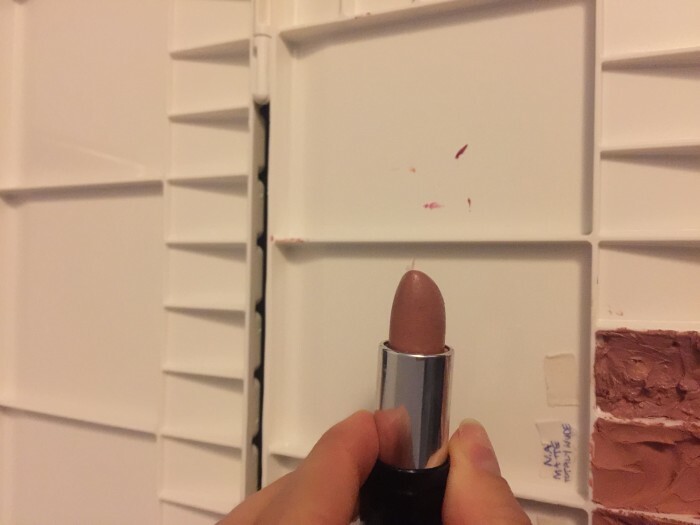 Step 5 – Continue with all lipsticks. Step 6 – Write down the names so you can remember which is which, I normally use making tape cuttings to stick next to each of the segments. 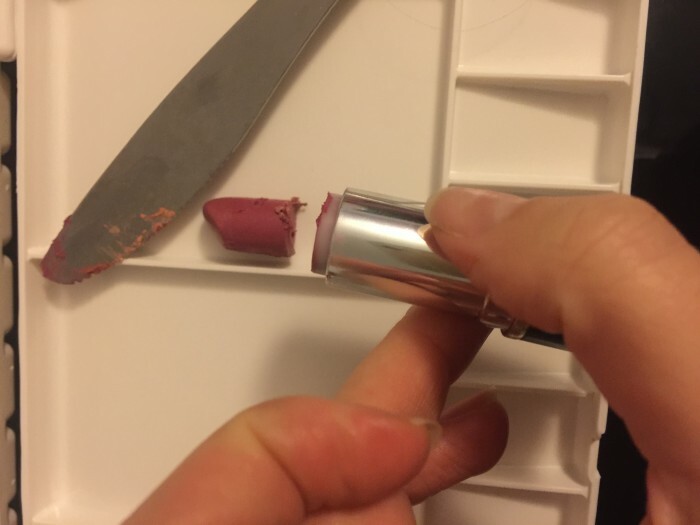 Step 7 – Use a hairdryer on a low blow setting to melt the lipsticks down and create nice neat sections. Step 8 – Cover up any brush holes with masking tape for storage and remove when you want to use them! I hope this helps fellow depotters create easy solutions to make up organisation! Happy Repotting!